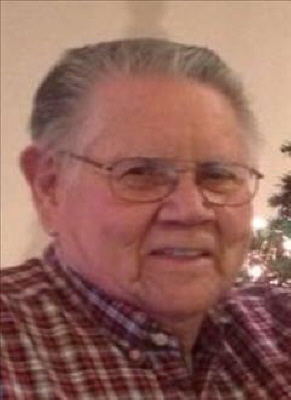 Raymond L. Breshears - 83 passed away peacefully at his home Wednesday, March 13th, 2019 after a brief illness. He was surrounded by his loved ones who cared and assisted in his final days. He is preceded in death by his father, John Henry Breshears and mother, Oda Belle Breshears. Ray is survived by his wife of 31 years, Linda Breshears; brother, Johnny and wife, Cathy; brother, Charles and wife, Phyllis; daughter, Cindy; sons, Steve, Kerry and Tim and many other family members and friends. Ray was born on August 5th, 1935 and was raised and lived in Sand Springs, Oklahoma his whole life. He began working at Fibercast in Sand Springs, February 4th, 1957 and retired, May 3rd, 2010, after 53 years. Ray loved going to the horse races, going to Grand Lake and picking up Mackenzie 'Stinker' Jones from school everyday (he said it kept him young). Ray was loved by many and will be missed by all. The family wishes to extend their gratitude to Ascension Hospice for their caring and kindness. At the request of Ray there will be no services. A celebration of life will be announced at a later date. To send flowers or a remembrance gift to the family of Raymond Leroy Breshears, please visit our Tribute Store. "Email Address" would like to share the life celebration of Raymond Leroy Breshears. Click on the "link" to go to share a favorite memory or leave a condolence message for the family.